I think this was a case of “I wish I would’ve known that before I read this….”. 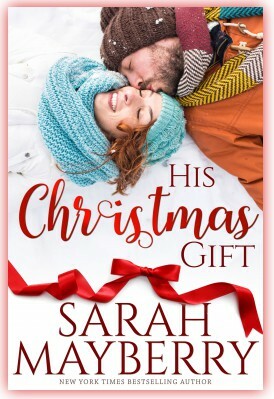 His Christmas Gift is actually the sequel and companion novella to Three Nights Before Christmas written by Kat Latham. I thought this was a stand-alone novella and in retrospect should’ve done more research before diving into this one. As I started reading His Christmas Gift, I felt like I was missing something, and I was! Three Nights Before Christmas by Kat Latham tells the story of Lacey Gallagher, a woman released from prison and her romance with the police officer that put her in prison. His Christmas Gift is the story of Lacey’s defense attorney and Sawyer Gallagher, Lacey’s brother. I feel that these two books are so interconnected that they should’ve been put in one holiday collection. They deserve to be read in sequence, and I regret that I lost out on an experience not knowing this beforehand. The book itself was sweet. It is a perfect quick and light holiday read that could easily be read in one sitting. I did feel that it was a bit rushed with the romance, but it’s difficult not to rush things within the confines of the novella’s length. The setting of a Christmas Tree Farm was very festive and I love a great “cabin romance” where the couple gets to spend concentrated time alone. I really enjoyed this book but felt that the entire story seemed a bit rushed and improbable. I rate this one three stars, but don’t regret the time I spent reading it.